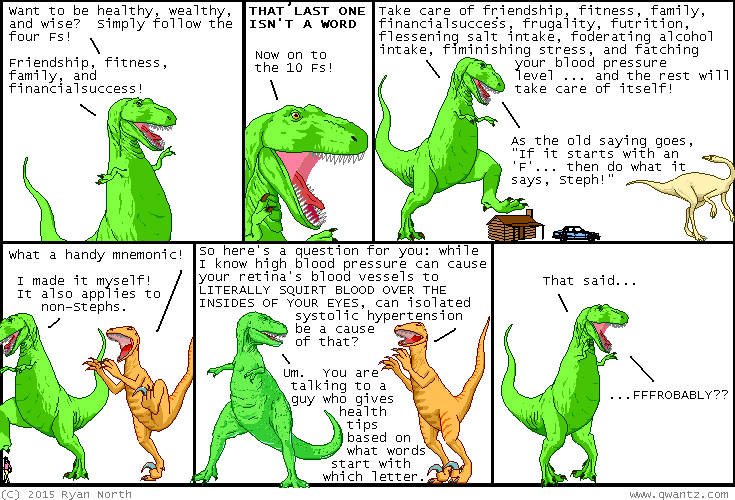 Dinosaur Comics - April 17th, 2015 - awesome fun times! April 17th, 2015: Remember this week's comic about marketing? Well GUESS WHAT: someone on Australia needs to read my comic more or at least realize it's supposed to be jokes and not actual business advice. OH WELL?? Are you in or near Spain? WELL GOOD, because that's where I am too! And I'll be at the 33rd Salón Internacional del Cómic de Barcelona this Friday, Saturday, and Sunday. Come say hi!! I will have a translator too so we can say hi in each other's languages! I AM REALLY EXCITED TO FIND THE BOUNDARIES OF WHAT THIS PERSON WILL AND WILL NOT TRANSLATE.